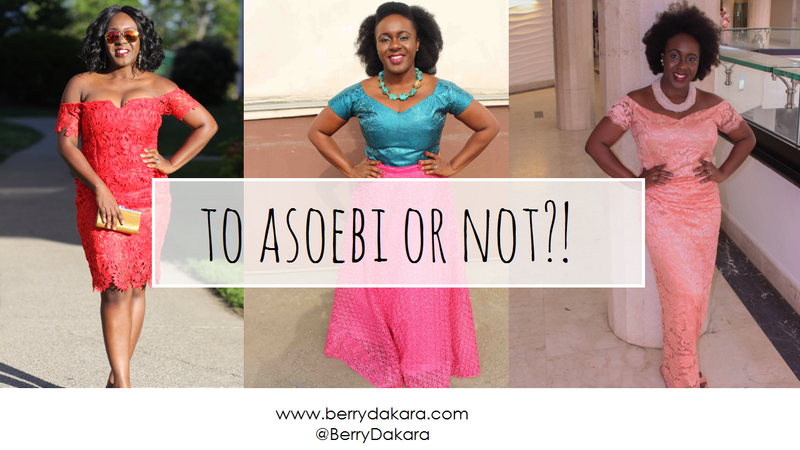 Berry Dakara: BERRY VLOG: To Asoebi or Not?! In this video we talk about different aspects of asoebi, from the pricing to whether it's mandatory or not. What do you think about aso ebi? If you're married, did you have aso ebi at your wedding? If you're not married, do you think it's absolutely necessary to buy aso ebi for weddings? I hardly attend weddings though but I doubt I'll have asoebi at my own wedding. Dunno yet sha but I'm not iffy about these things. Lagos Fashion & Design Week - Street Style Guide ( What To Wear). Lol., I've started telling all my friends that I'm not buying asoebi. Not just cause of the price but I'd probably not wear it again. So why bother? Do like me and make separates! That way you'll get to wear them over and over again. I don't understand why people always complain that they can't wear it again after the event it was purchased for. Why??? It's a fabric sewn into a nice style, so I should be able to wear it anytime to anywhere. Asoebi outfit is just like every other outfit in my closet. 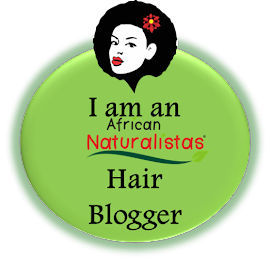 I think I need to do a post on this on my blog. Imma look out for the post. Make sure you tag me. I agree with you. It's just another outfit in your closet - so make something that you would wear over and over again. LOL @ your mum, and also @ making your family members forget you. You don't have to have asoebi at your wedding if you don't want to. I only recently started attending weddings and I am not a fan of aso ebi because it's always too pricey and sometimes it's not worth the money. Another reason is i hardly wear natives. Whaaaaat? I love weddings! SO much fun to be had! I wasn't super into natives before, but now I really like them. Thanks Christina. BTW I'm sure people don't give gifts if the asoebi is expensive. The over pricing is just so annoying.. Brides tend to follow trends, if Five of your friends are getting married you find out you'll have four different but close shades of the same color of ashebi. Not cool. Oooh, I've never thought about that aspect. Good point. I don't like asoebi, I wish it could disappear for my own wedding, but now with my type of mother. Chai. Asoebi is alot of stress, not forgetting the money wasted. I wonder who invented asoebi, lol. For a wedding just tell me the colour for the day, that's if I will attend. I do not like attending weddings. I don't buy aso ebi. I won't sell aso ebi. In my opinion, the practice has been abused and over abused. At first, I would buy asoebi to support my friends. After going through my closet one day, I realised I rarely wore the asoebi more than once or twice because I didn't like the material (hate lace...too itchy) or the color. So right now, I only buy asoebi with designs I like and politely decline others. I don't intend to have asoebi for my wedding. Just a color theme to stick to but my mum won't hear it with her left ear. 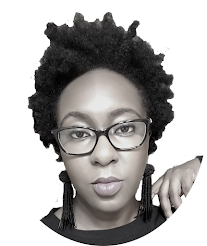 I have told her I won't bother one curl on my fro about it. I think it's more important to me that the person made an effort to be present and share my joy. That's all. This is quite dicey, especially as one tries to balance their own stance and also not offend the bride. For me, it all depends, I don't feel obliged to buy aso-ebi if I don't think I need it, I am a intentional shopper not a compulsive shopper. But if it's affordable and the fabric and design match my personal style, I'd buy. No pressure.